As I mentioned in my most recent blog post, online reviews are taking the Internet by storm, and it’s one you better be prepared for. 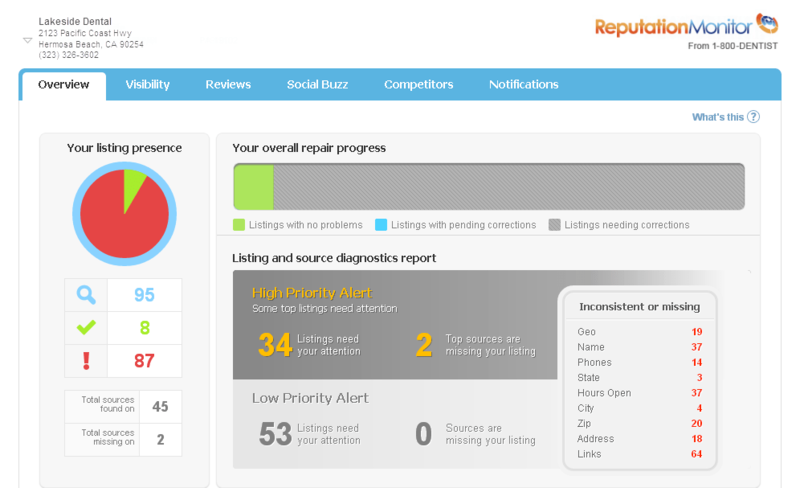 I believe that tracking your online reputation on a daily basis is so important that my company has just launched a new product, ReputationMonitor, which goes out into the Internet looking for every place that your name or your practice is mentioned, and puts all the results in a single dashboard so that you can take action. There are a number of lightweight versions of this type of service such as Google Alerts, and some that claim to track your reputation, but most products are not very comprehensive, and only track a few sites. 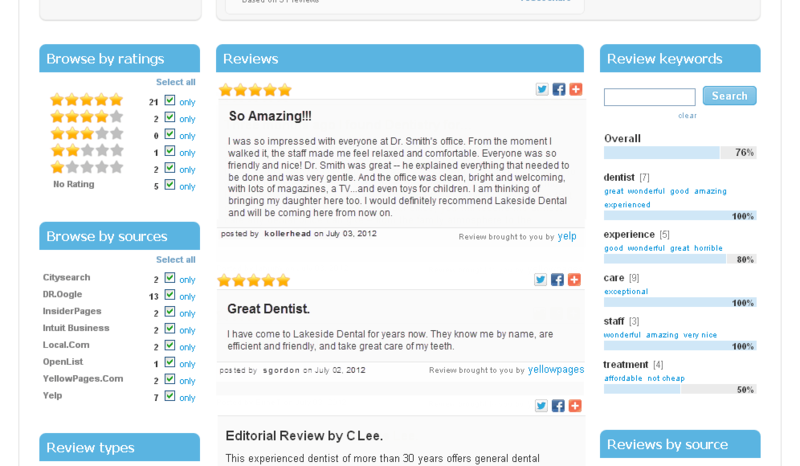 Ours is the most comprehensive, and it is the first of its kind exclusively for the dental industry. I’m really excited about it because it works so well and is so easy to use. As you know, I normally don’t hawk products in this blog, but in this case the need is so critical that I want my readers to know about this tool. The fact is most practices would never have the time to gather all this information, or even know how to do it. With directory listings, you will find that there are dozens of websites, many that you’ve never heard of, that have some of your practice information, but often that info is inaccurate or incomplete. And worse, most of the time it doesn’t have your website listed, so there is no SEO juice. ReputationMonitor gives you an easy way to go and fix that information. With social media, you get a comprehensive look at what is being said about you, and where it is posted. This is also something you should be tracking daily and responding to. 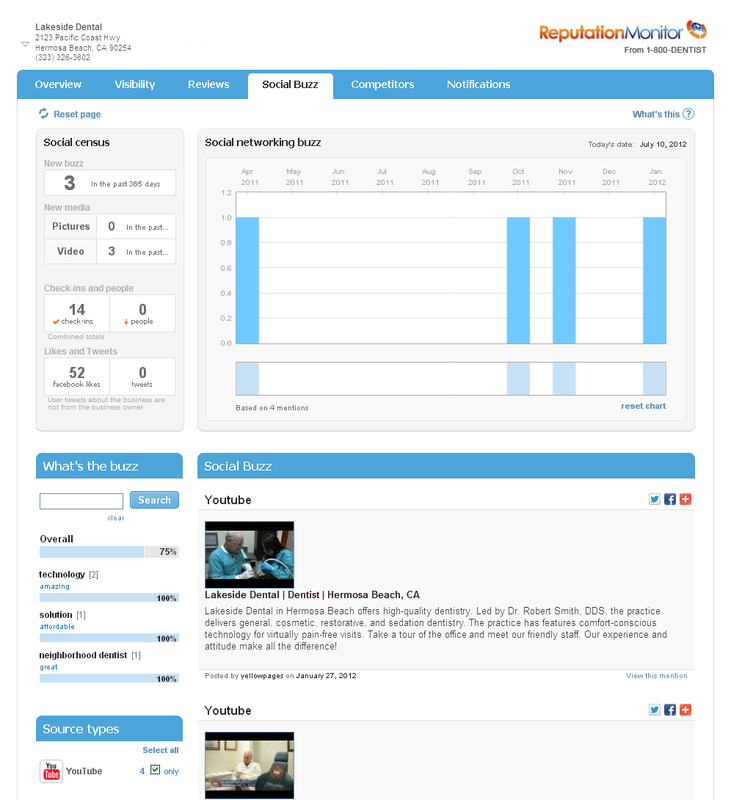 You can also track the reputation of three different competitors of your choice, to see how you compare. It’s a phenomenal tool for a practice, and it’s only $59 per month (and less if you’re a 1-800-DENTIST client already). If you’re interested in a demo, call 855-225-5231 or click here. This entry was posted in Advertising, Dental Marketing, Online Reviews, Social Media, Uncategorized and tagged dental practice marketing, Online Reviews, social media by Fred Joyal. Bookmark the permalink. hey there and thanks on your info ? I’ve definitely picked up something new from right here. I did on the other hand experience several technical points using this web site, since I skilled to reload the web site a lot of occasions prior to I may get it to load correctly. 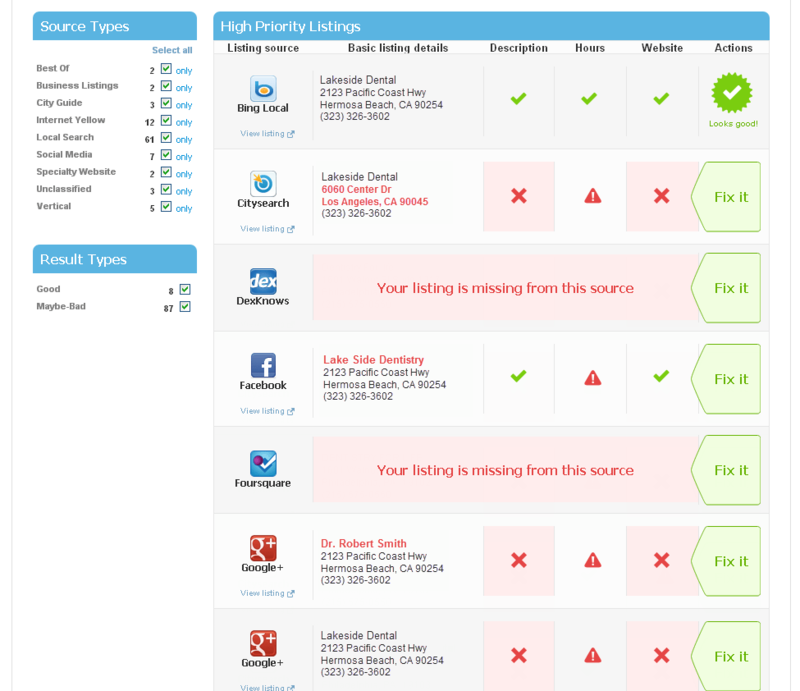 I had been considering if your web hosting is OK? Now not that I’m complaining, but slow loading circumstances occasions will sometimes impact your placement in google and could damage your quality score if advertising and marketing with Adwords. Well I’m adding this RSS to my email and can glance out for much extra of your respective interesting content. Make sure you replace this again soon..
A cosmetic dentist costa mesa will never close his/her ears to listen to your personal desires and needs. It’s important that you have their attention from the time you enter their clinic. A cosmetic dentist that will pay attention to his/her every client will most likely provide the best cosmetic dental care. This is also the dentist who probably gets the highest satisfaction rate from his/her clients.